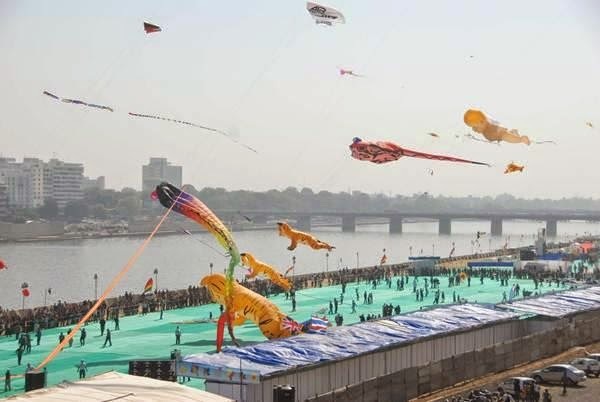 Ahmedabad International Kite Festival is one of the biggest and colorful festival of kites. This festival is traditionally celebrated as "UTTARAYAN" or "MAKAR SANKRANTI" in Gujarat. Its like IPL of Kite Flying. 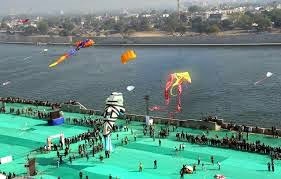 Gujarat Tourism host International Kite Festival in Ahmedabad drawing crowd from many States and Countries where people display their kites of various shape and size. Apart from flying kites people can also enjoy Cultural Performance during inauguration, Musical Events in evening, Special Festive Foods and Local Crafts and Artifacts of Gujarat.